Shoulder epaulettes are produced in various sizes to fit the shoulder loops of body-armour, outergarments and shirts. The base material color can be chosen from our Pantone referenced stock background colors. Press-fasteners are used to close the epaulette for quick release. However buttons as traditionally used are also available. 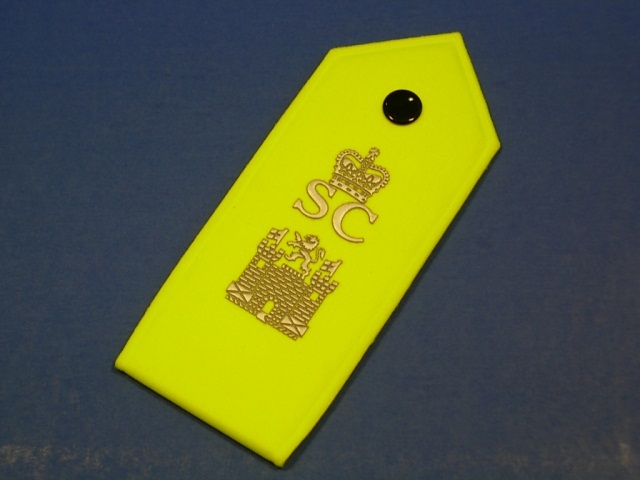 Senior Officers often prefer traditional hand embroidered gold or silver wire rank insignia and we provide this service applied on embossed epaulettes.